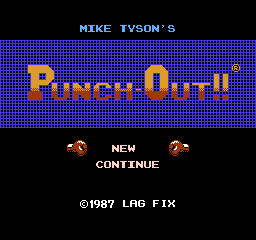 Hack of Mike Tyson's Punch Out!! 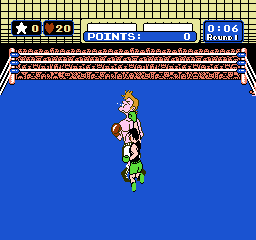 Playing MTPO on a flatscreen TV is unnecessarily difficult, due to the video lag. This patch minimizes the effects of lag by slowing the gameplay slightly. Especially the last 3 fights. Known issues - the occasional incorrect opponent tiles for 1 frame, due to those tiles not being updated during the skipped frame.